We feature a paintings gallery with thousands of decorative oil paintings for sale and beautiful canvas prints from a multitude of periods and styles including modern art, contemporary art, abstract art, famous art, pop art and much more, to satisfy all of your fine art needs. As we continue to grow the new paintings and original art collection, whether you are looking for a famous paintings reproduction, such as Van Gogh paintings, Picasso paintings, Dali paintings, Monet paintings, Abstract paintings, Landscape painting, House oil paintings, hotel oil paintings, folk art or High definition oil pictures photo prints on canvas, you will find it at Wieco Art gallery. 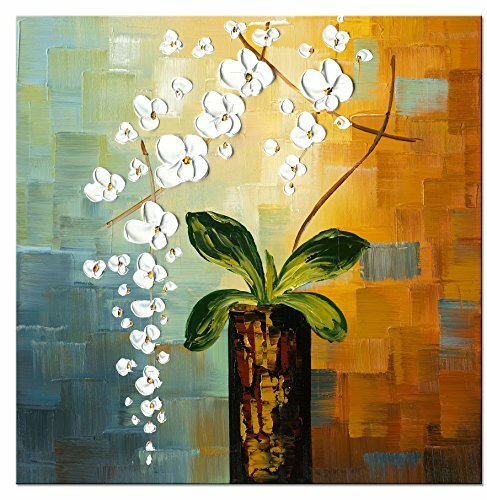 Stretched and Framed canvas oil paintings ready to hang for home decorations wall decor, each panel has a black hook already mounted on the wooden bar for easy hanging out of box. Authentic Wieco Art canvas home art are packed in carton box with Wieco Art logo printed on each box. Hot Selling oil or Acrylic paintings on canvas, A perfect wall decoration oil paintings for living room, bedroom, kitchen, office, Hotel, dining room, bathroom, bar etc.. Gift card is also available upon request.